It took me a good 30 seconds to actually realize that this was a picture of a moving (I imagine) enterprise. Before that I kept seeing a weird shower head. I think the goal of the Star Trek marketing is to keep the core trekkie audience interested while also significantly broadening the series appeal. A big white mess seems unlikely to achieve either of these goals. And even after you figure out what the image is, it’s still not very interesting. The enterprise going fast. A different depiction from those we have seen before, but one that doesn’t actually add much. Maybe the idea is that by doing something that can’t be immediately understood they will get people’s attention, and that when these same people figure it out they will remember the Enterprise clearly. But this sort of strategy seems as likely to irritate people as it is to engage them. I thought it was someone pushing through a plastic sheet. There is no image, poster or marketing campaign that will make me want to see a Star Trek movie. i feel bad for the paramount marketing. 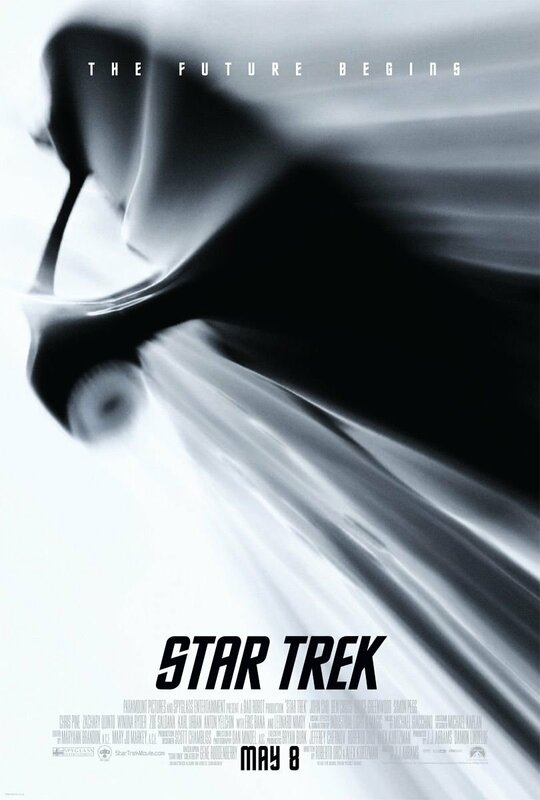 you guys may be throwing this poster under the bus but honestly, it’s the best TREK poster since MOTION PICTURE. every TREK poster is the enterprise and kirk, spock, picard or data’s bulbous head and the villain of the week. they’re all really really lame, fairly interchangable and an example of the second rate status TREK has always been. NEMESIS was the highest budgeted film with $60m. meanwhile something like SIGNS the same year that dodges effects with “invisible space ships” costs $70m. whoever did this may have failed but at least they tried which is something can’t say for the posters for the ten films that preceeded it. I dont think it is anything…..other than an april fool. It does look like a golfer in a latex suit though. I love this poster. It’s a great teaser for the movie, and promises a different experience.